London is amazing! With plenty of things to see and do, this English capital definitely brings in the visitors. However, it's also one of the most expensive cities in the world. So how do we see London on a budget? With hostels! Backpacking in London is one of the best ways to save money in this town. But you don't have to be a backpacker to take advantage of the great features and amenities of hostels. 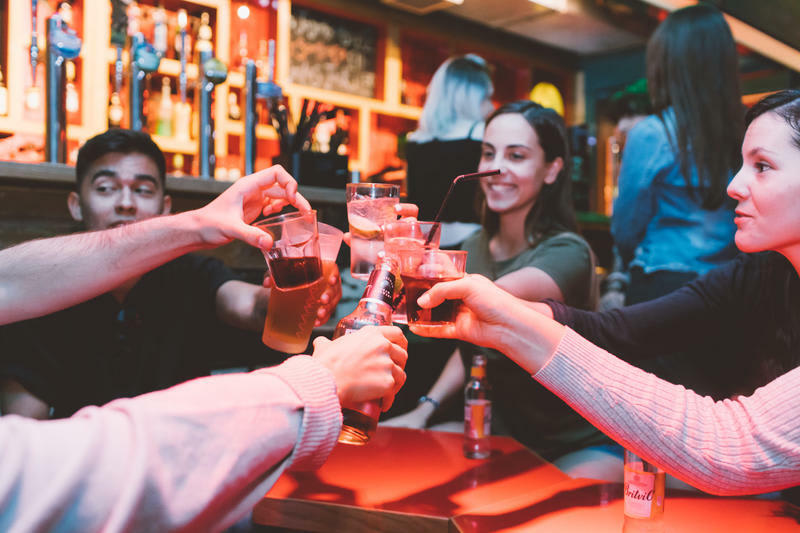 Party-goers of all types, plus couples, groups, and even families can find a cheap place to stay at one of London's many hostels. But with so many hostels available, which are the best? 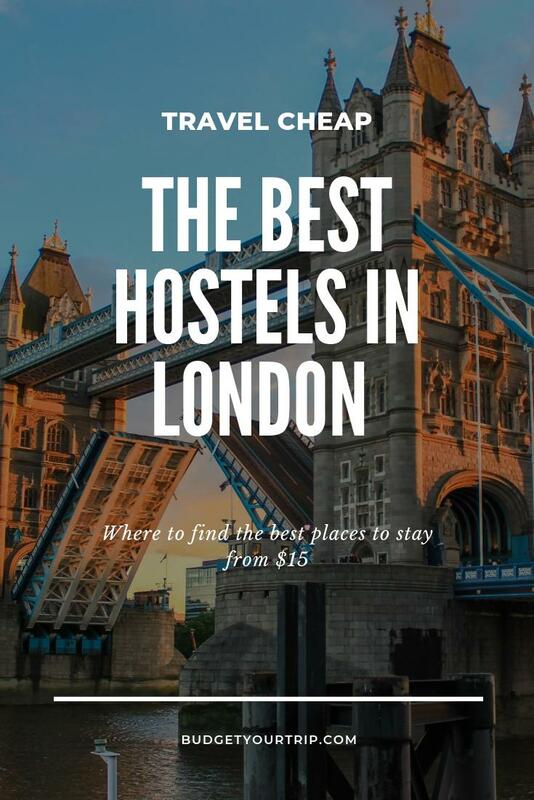 We've put together this list of the best hostels in London for every type of traveler so that you can quickly find the hostel that's right for you. The average price for a dorm bed in a hostel is about $20. Dorms can be found at cheaper prices, but keep in mind that you often get what you pay for. Some of the nicer dorms will cost more. Also, prices are higher in the summer months during peak travel season, so take that into account when planning your trip. The average price for a private room in a hostel in London is $72. As with dorms, quality and prices can vary depending on the age of the hostel, the popularity, the location, and the list of amenities. Always check reviews and suggestions before booking. With over ten-thousand reviews and an amazing overall rating, Astor Hyde Park has earned it's terrific reputation. 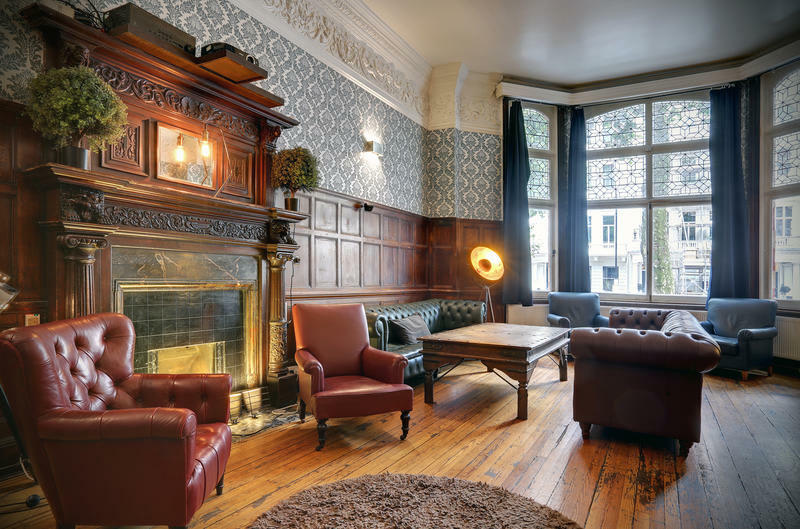 Combining the quaint ambiance of an English residence with the social atmosphere of an active hostel and an amazing location, the Astor Hyde Park Hostel has it all. This place is located in a quaint part of London just a few minutes' walking distance from Hyde Park. Nearby you'll find many great museums including the Natural History Museum and other sights. It's also quite close to public transportation, so you can get everywhere in London in a hurry. You can walk to trains that will take you directly to Heathrow Airport as well as many sights and attractions around the city. In the surrounding area, you'll find many great pubs, bars, shops, and restaurants. This is a truly great place to base yourself during your time in London. The staff hosts a variety of social activities so it's easy to meet other guests, but if you want a good night's sleep, that's possible here as well. With a long list of the standard amenities one would expect from a hostel, everyone will be comfortable here. This list includes free wi-fi throughout, a great security system, security lockers, luggage storage, and laundry facilities. There's an all you can eat buffet breakfast available every morning for a very small fee (which goes directly to charity). The hostel also has a full kitchen which guests can use to prepare their own meals. The dining room and common areas are great places to chill and meet other guests. If you want to watch a movie or sporting event, there's a large lounge area with comfortable sofas. Both female only and co-ed rooms are available in a variety of sizes from just a few beds up to 12. So, there's a price that meets everyone's needs. Private rooms are also offered with ensuite bathrooms. You really can't go wrong here. Guest reviews highlight the friendly staff, cleanliness, authentic atmosphere, and more. Angela said, "I had a wonderful stay at this hostel! The staff was friendly, helpful, and welcoming. I had a good experience with my roommates and got to meet some really interesting people from different walks of life throughout the hostel (especially over meals). 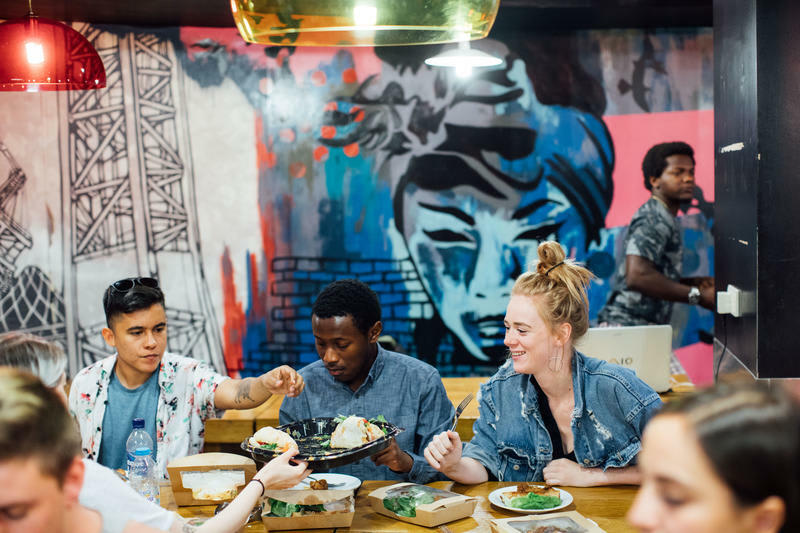 Overall, this hostel does a great job of creating spaces that encourage community building. The location is also very convenient, as it's a few minutes' walk from Hyde Park and nearby tube stations." Heads up: A little more expensive than others, but well worth the price! Considered the best hostel in London by multitudes of travelers, Wombats City Hostel in London is very popular for its great location, interesting and social atmosphere, and overall comforts. The list of awards earned by this hostel is quite long! 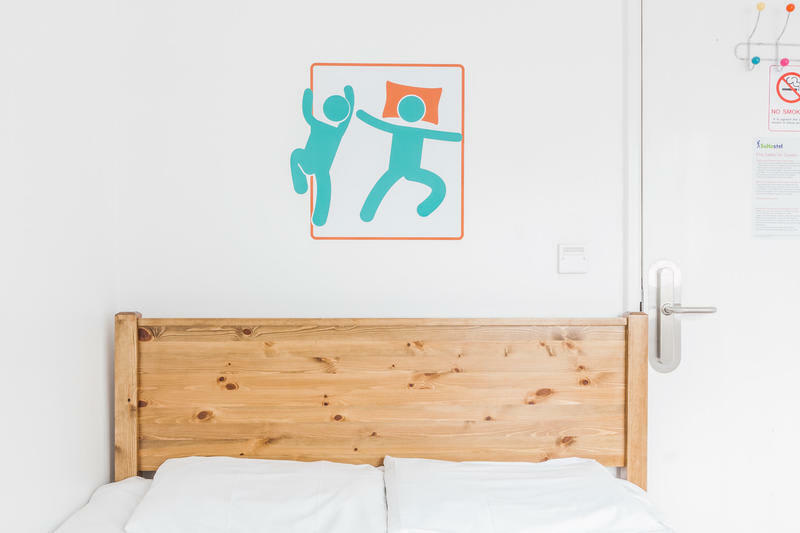 As part of a small chain of hostels throughout Europe, you know you'll be getting a quality place to stay at a good price. It's in a convenient location, just a few minutes from Tower Bridge, the Tower of London, and the City Hall. It's also very close to Shoreditch, which has an excellent nightlife scene. The hostel is perfect for anyone who wants to be near all of the action. It's also close to public transportation and the tube, so you can be anywhere in London fairly quickly. The staff is not only friendly, but they offer regular activities for the guests to get to know each other. Free walking tours are also offered at the front desk for guests. Wombats City Hostel has several great common areas including a large bar, a courtyard, and a small area near the lobby where guests can hang out. There is a surprising amount of luxury to the facilities and you'll be pleasantly surprised by the quality of the furnishings. They also serve an all-you-can-eat breakfast every morning that you can enjoy for a small price. This makes for a great way to start your days in London. The hostel has dorms that sleep between four and eight people. There are six-bed dorms that are female only, and the other dorms are co-ed. All dorms have their own bathroom. Private rooms are also available for couples or small groups. It's not surprising that this hostel has earned an absolutely terrific rating from guests. It's also won plenty of awards! One reviewer summed it up nicely by saying, "My friends and I stayed at four different hostels during our trip and Wombat was our first one. It set the bar high for the rest; we thought it was hands-down the best of the four. The lobby area was welcoming, the rooms were clean and secure, it was located conveniently close to attractions such as the Tower Bridge, and the amenities were amazing. Wombats is worth the stay!" 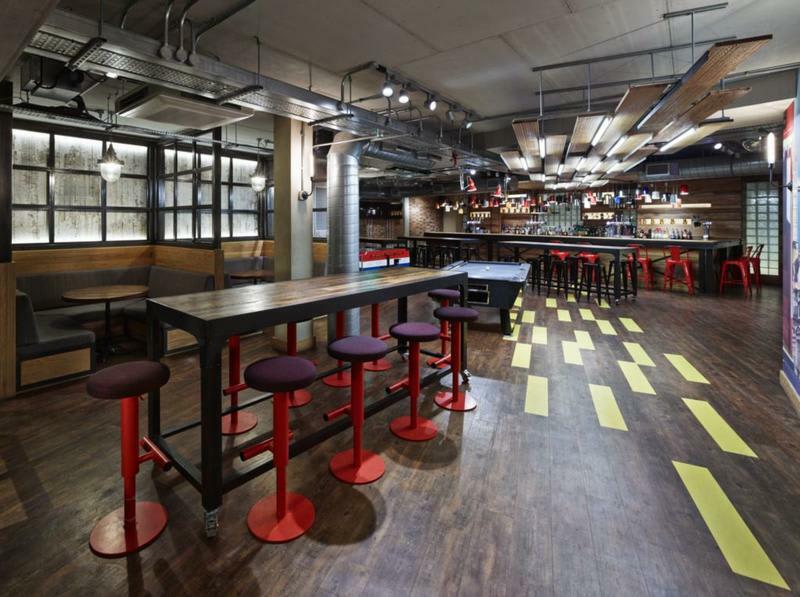 Here are the top party hostels in London. 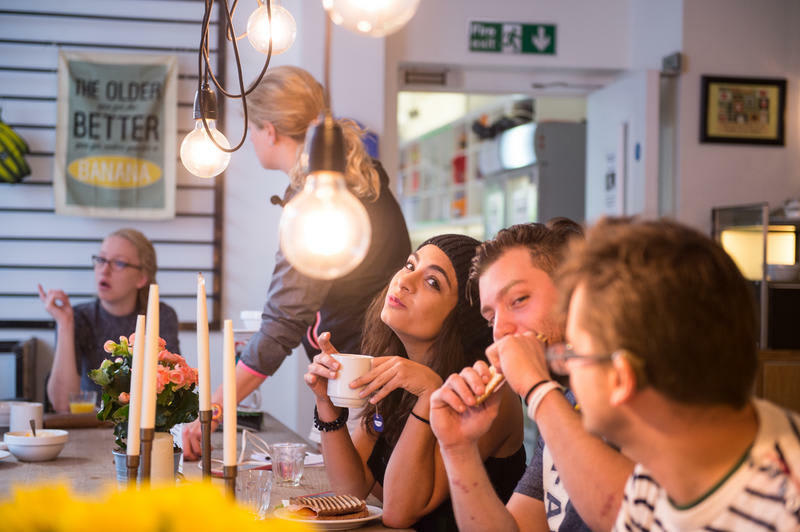 However, if you need more options check out our separate article: London's Best Party Hostels. If you've stayed at one of the St. Christopher's Inns before, then you'll know what to expect: a quality hostel with a party atmosphere. St Christopher's Village in London is no exception to this rule, and it's the place to stay if you're looking to have fun. Voted as one of the best party hostels in the world, this multi-award winning hostel offers guests a long list of amenities in a great location. This hostel is not just fun, it's also comfortable. The brand new rooms have been well designed and are clean and modern. Some dorms are typical bunks, but the newer dorms are designed like Japanese-style capsule beds with USB ports, cool mood lighting, and curtains for privacy. They also have new private rooms with comfortable beds. Typical hostel amenities are offered such as free wi-fi, free linens (towels are extra), a travel desk, and more. Step out the door and you'll be just a short walk away from the London Eye, Tower Bridge, and the oldest food market in the city, Borough Market. It's also only a two-minute walk from two tube stations, so getting anywhere in London couldn't be easier. The party atmosphere is strong here, as the on-site bar, Belushi's, is always active. Or, head down to the Dugout to watch TV and have a burger. It's active all the time, but you can still escape to your room for a little privacy if you need it. With a very long list of positive reviews from travelers, this hostel has earned a great rating. One of the guests said, "This hostel was a pretty good place to stay at. It was in a great location next to Borough Market which was a cool place to visit and it was in a convenient location to go to anywhere else in London via the underground. Friendly staff members and if you're into night life there is a bar right next door which was lively every night. The only thing I could say negatively about this place was that it was a little loud when trying to sleep but that's about it." Clink78 is one of the more unique and fun hostels to stay at in London. Like many hostels, it has a long list of great features. But this place goes beyond the standard amenities and offers everything you could want and more. For starters, the basement is a bar and dance club with DJs playing music, drink deals, pool tables, and more. This is the place to be if you're looking to meet up with other travelers in London. During the day, the hostel serves pizza and provides free walking tours of the city. The kitchen is also a good place to meet other travelers, and you can make your own meals here to save some money. The various common areas are relaxing as well as social. The interior decor is quirky and welcoming. Located right near Kings Cross station, you'll be able to get anywhere in London in just a few minutes on the tube or by walking. It's like everything in London is at your doorstep when you're in this part of town. Dorms and private rooms are available. Dorms have lights and plugs, and come in a variety of room sizes. An all-female dorm is also offered. The rooms are comfortable and make for a nice escape from the noise if you want to relax. Breakfast is offered for a small price, and they also have laundry, lockers, wi-fi, free linens, and a free map of the city. 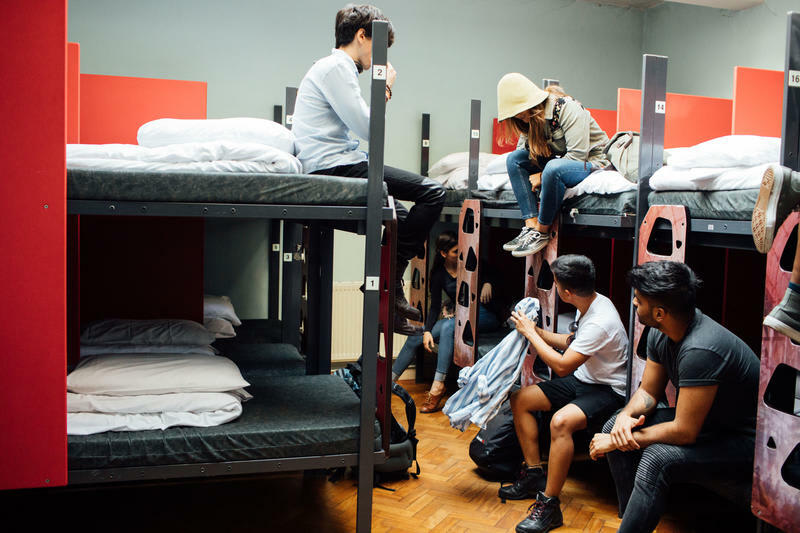 Having earned a very good rating from previous guests, Clink78 has become one of the most frequented hostels amongst backpackers and budget travelers in London. Most reviews are good, but a few are mixed, as most people say they love the location and the atmosphere, but some reviewers claim that the hostel is sometimes dirty and crowded. One reviewer said, "This was a really comfortable hostel. The rooms felt quite private because of how the beds are placed which made staying in a larger dorm quite easy. The lockers in rooms were good, but the bathrooms were constantly dirty and the kitchen was missing a lot of things. The location was about a 10min walk to Kings Cross Station and close to heaps of restaurants." Location, location, location! That's what this hostel is all about. 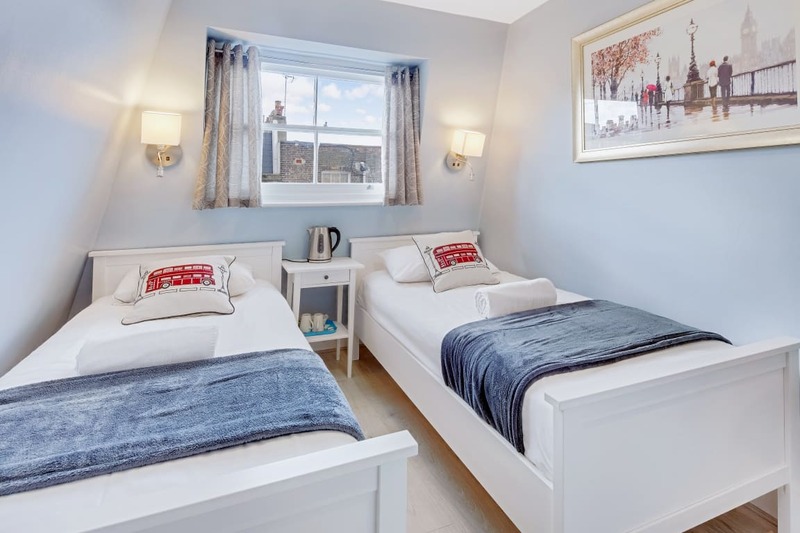 Located right in the middle of Soho just off of Oxford Street, this hostel has the perfect location to explore all of London on foot or with the three nearby tube stations. In addition to the location, this hostel has plenty of comforts and a long list of amenities. The dorms and private rooms are modern, comfortable, and spacious. Bunks have lights and plugs, and the shared bathrooms are modern and clean. The common areas are also nice, and make for a relaxing and quiet place to hang out even though you're in the busy part of town. This is a good hostel for solo travellers who want to meet other guests, couples who want to be near all of the action, and groups of friends who want to stay in a social and fun setting. They regularly organize free walking tours, pub crawls, and trips to the West End Shows, among many other things. This is a great place to stay if you're looking for a fun environment where there's always something going on. The YHA London Oxford Street has thousands of reviews and a great rating. One guest summarized everything by saying, "What makes this hostel a win for me personally is the location. I move around a lot trough central London to see West End shows and as woman travelling by myself safety and location is the most important. The hostel is located in a dream spot, close to everything by walking and tube. This is the first hostel in London that I am determined I will return to due to location and price. The showers and toilets are a bit old and run down, but it didn't bother me since I'm used to London standard." Atmosphere: Social, yet calm. Near plenty of action. All we can say is, "Wow!" 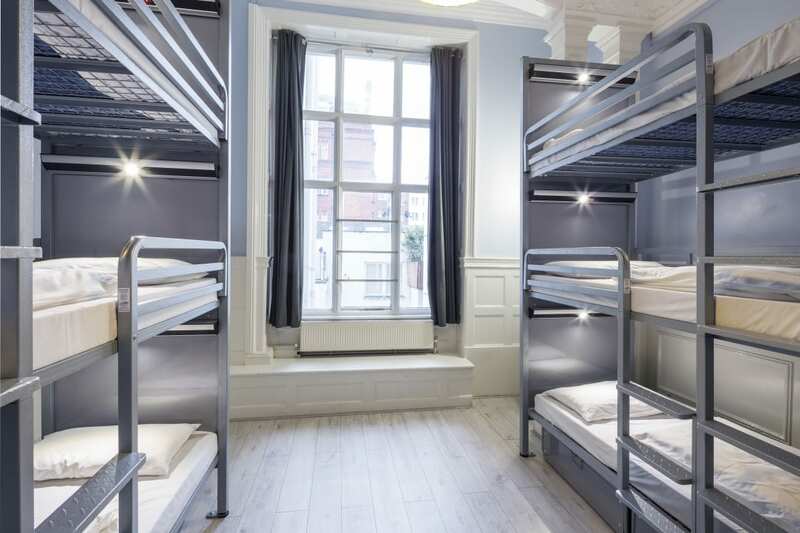 This relatively new hostel is right in the middle of the city in Soho. Despite the amazing location, they have not sacrificed anything else in terms of amenities or features. With room for over 300 guests, you'll find this place to be quite active and social. A rooftop bar, dining room area, and a game room with billiards are nice places to hang out if you want to meet up with other travelers. The hostel also organizes happy hours and other social activities throughout the week which help foster the social scene. As mentioned earlier, the SoHostel is in a perfect location. Just a short walk away from several tube stations and a huge number of shops and restaurants, you'll have all of London at your doorstep. The facilities are bright, modern, and clean. Dorms and private rooms are available, some with private bathrooms. 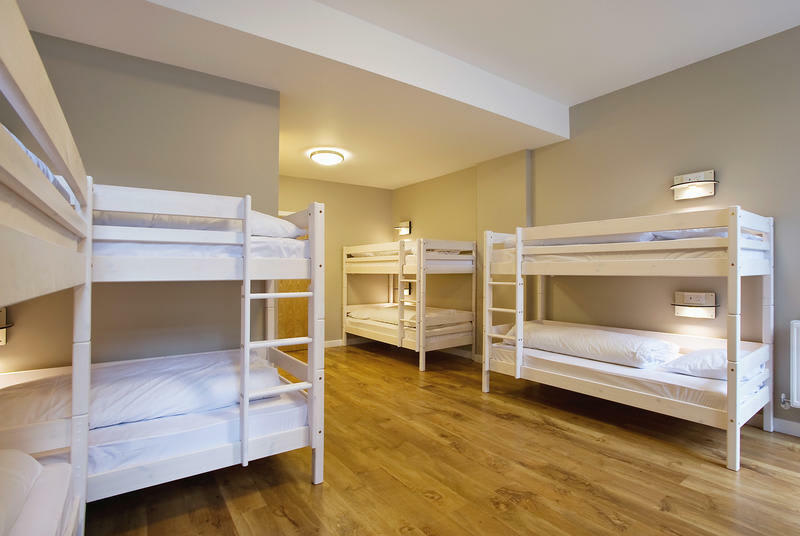 Dorms come in various sizes and at different prices to take care of everyone's budget. Other amenities include wi-fi, breakfast, hairdryers, linens, and more. This hostel is highly recommended, and has everything to offer except a kitchen for cooking. Even though it's fairly new, they have already hosted plenty of guests and have gathered thousands of reviews. With a terrific rating, most guests rave about the location (obviously), the clean and modern amenities, the great social atmosphere, and the friendly staff. One guest stated, "Fun staff! The bunk beds could be better quality though. I felt like the bathrooms were very clean, which is always great to hear about a hostel. The on-site facilities were great! People seemed to really hangout and socialize at this hostel! Great prices for the bar/restaurant. Breakfast was included, but you could upgrade to a better breakfast for only one euro! Overall good vibes here." You can't go wrong here, as the Astor Kensington is a great hostel in a great location. The atmosphere is social and vibrant, the rooms are nice and clean, and the staff keeps everything well organized. Located in Kensington, just next to Hyde Park and the Queensway tube station, guests will feel very connected to the rest of London in this quaint and authentic neighborhood. The hostel has both dorms and private rooms available (and an all-female dorm option). Dorms are a little smaller than most places, which is great for getting some rest and keeping things safe and clean. That way, you can focus on meeting up with your fellow travelers in the lounge. With free wi-fi, a terrific breakfast, laundry, lockers, and a large kitchen for cooking your own meals, there's no reason why you wouldn't be happy here. Guests rave about the friendly staff, great prices, and location. However, some of the guests do knock the score down for inconsistent cleanliness of the shared bathrooms. One guest summarized the stay at this hostel by saying, "The staff were very friendly and helpful. I appreciated that the room I stayed in was ensuite, that the wifi was reliable, and that there were USB plugs by each of the beds. There are some things that could be improved, like the lights near the beds not working/falling down. But overall, I thought that it was good value for the money. Each morning they run a charity breakfast where you bing 1 pound and they donate the money to a local charity, which I thought was really cool." 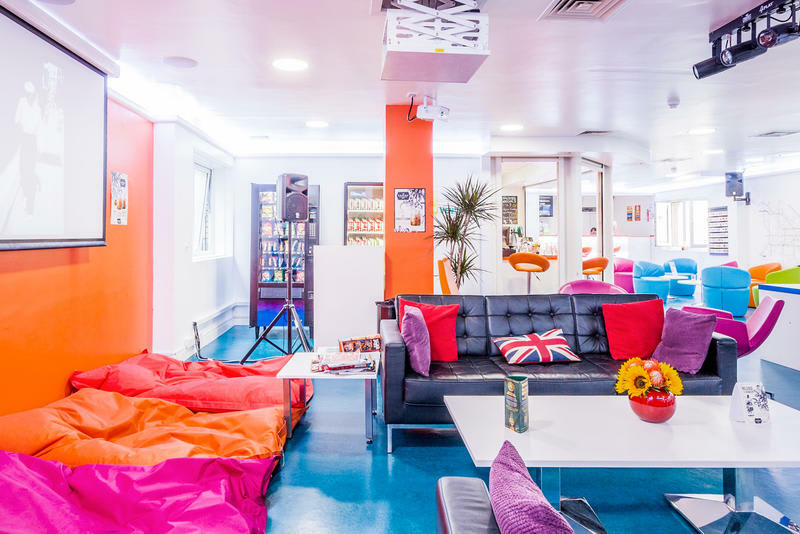 With rave reviews and a long list of nice amenities (including the low prices), this is one of London's best hostels. 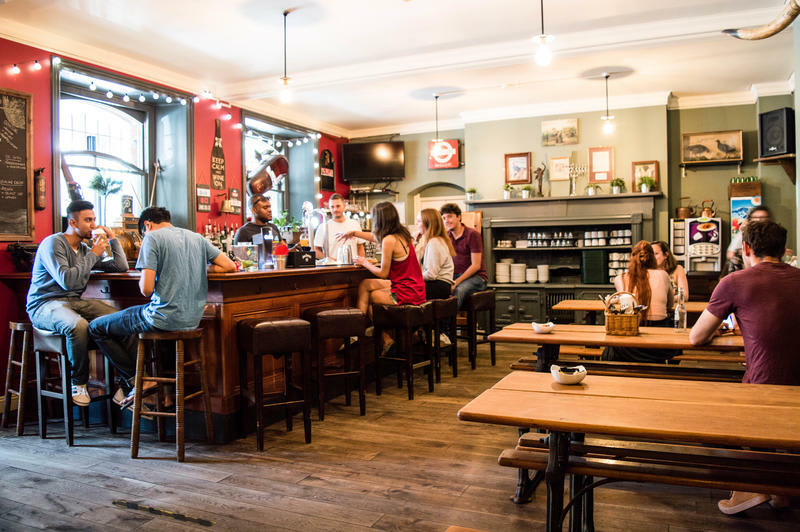 The on-site bar and relaxing common areas keep everyone talking and meeting each other, while the friendly staff helps everyone not just with hostel activities, but also with things to do and see in London. Dorms and private rooms are available, and all are priced low. An all-female dorm option is offered, and dorms also come in a variety of sizes so that you can have more privacy for a little more money, or cut your costs and stay in one of the fun larger rooms. The largest room has a really cool 2-storey setup. All of the facilities are clean and modern. The decor feels like an old English mansion. As soon as you walk into the lobby area, you will feel like you're staying in an old London house complete with wooden panels and period furniture. If you think it's stuffy, fear not, because plenty of action can be found in the common areas and at the bar. All of the beds are pre-made for guests before they arrive. Also, an affordable breakfast is offered for just a few pounds, and it's very good! Free wi-fi, lockers, hairdryers, an outdoor patio, kitchen for cooking, billiards, and a great happy-hour complete the list of benefits here. The location is not bad, either. It's very close to the Underground station, although it's not in the middle of the city. But for the price, the location is quite good. Expect to pay a great deal more if you want to be closer to the middle of the city. And with the tube station so close, you can be anywhere in London in minutes. It's also close to a few grocery stores. Reviews are positive, and there are plenty of them. With tens of thousands of guests leaving feedback, this hostel has earned itself a great reputation. One guest stated, "I can say this is the best hostel I ever stayed in London, you can cook your own food, groceries just nearby. They have hairdryer, and especially I like the way when you can use curtain cover your own bed for your own privacy and also won't feel bad when you turn on the light. Breakfast is very cheap and very complete. This is my 2nd time staying here, I definitely will come back again next year." 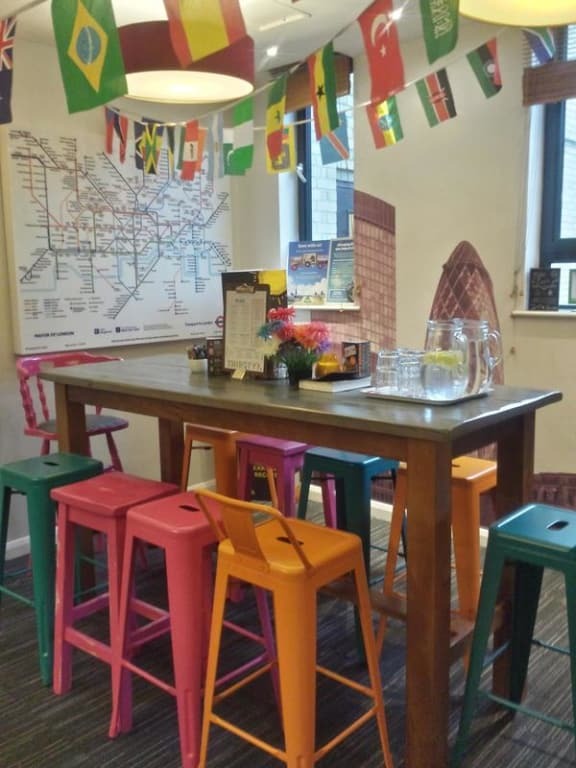 Located near the Kings Cross station, and just a short walk from the co-owned Clink 78 hostel, this is one of the best hostels in London for solo travellers. With a long list of amenities and features, everyone will be comfortable here. A variety of dorms are available at various sizes and prices. An all-female dorm is available. Private rooms are also offered. The rooms and bunks are modern, comfortable, and include lockers. Bunks have lights and plugs, too. Bathroom facilities are also modern and kept clean by the friendly and helpful staff. Clink 261 has a full kitchen which is great for those that wish to cook their own meals. Breakfast is available for a small fee. The common areas are very comfortable and spacious, and make for a great place to meet other travelers, make plans for seeing the sights in London, or plan your next getaway in Europe. At the nearby Clink 78 is a bar with a DJ, drinks, food, and more. So, at this hostel you can have the best of both worlds and still get some sleep if you like. Reviews from guests have been very positive, and call out the friendly staff, modern rooms, and nice kitchen. Some guests complain about the cost of the breakfast, and others say that the rooms are very small. One guest put it simply, "Good hostel. Nice enough staff, felt safe and secure, great location about five minutes from Kings Cross station. Breakfast had yogurt, fruit and pancakes, which was cool. Kitchen was standard and had everything I needed. Showers were a little small, it had good temperature and pressure and there were plenty to go around. I found the mattresses very close, although there were partitions to provide privacy. I would stay again." This hostel is a favorite among travelers because of its long list of features, nice location, cheap prices, modern rooms, and friendly staff. It's the first of the Generator Hostels chain, so they must have done something right in order to be able to branch out across Europe. This is the perfect place to return to and unwind after a busy day in the city. It's a social place and a great spot to meet new people. There's an active bar where you can enjoy drinks with your fellow guests in the evenings. The front desk also helps plan your adventures around London or to your next destination. A wide range of rooms are offered at various prices. This includes dorms, quads, and private rooms. All-female dorms are available, and private rooms go up to 6 people, which would be nice for a small group of friends. Guests also have access to free wi-fi, luggage storage, a laundry room, a games room, and organized events and entertainment. Generator London is located near Russell Square in the middle of the West End. It's a great place to base yourself in London, and most of the city is accessible by the tube. The photos show clean, modern facilities, but reviews of the hostel are sometimes a little mixed. Guests leaving reviews have noticed that overall this is a great hostel, but it is beginning to see a little wear for it's age. One guest summarized it nicely by saying, "I chose to stay at Generator Hostel because it was one of the cheapest options with a high review. The location is very good, the vibe is very modern, and the staff were very helpful. However, it's a high-traffic hostel, and everything is kind of rundown. The bathrooms were often dirty because they couldn't keep up with the traffic, and there was a lot of small wall damage, broken toilet locks, etc. I'd stay there again though should the price be right." We reviewed this hostel above in our Best Location section. But it deserves another mention because it's not just all about the location. SoHostel is also about the comfortable features, friendly staff, and great price that this hostel offers. Couples can stay in their own private rooms here (or dorms if they choose), which are nicely appointed, comfortable, and modern. This hostel is social, but not too loud, which makes for the perfect atmosphere. The rooftop bar and relaxing common areas make for nice places to meet other travelers and unwind after a busy day of sightseeing in London. The Meininger chain of hostels throughout Europe is known for its modern, comfortable, and high quality amenities at great prices. 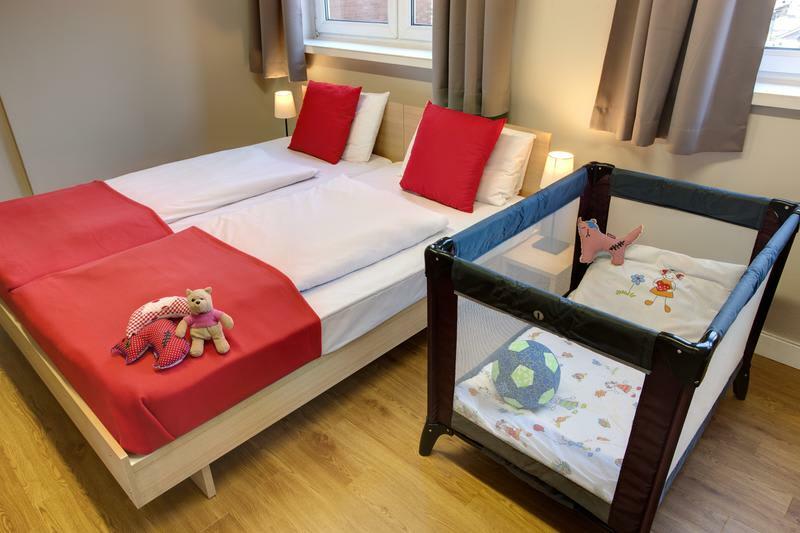 We've recommended this chain in other cities in Europe as a great hostel for families, and the London location is no different. With a mix of room types that fit every type of family (or other traveler), plus a long list of amenities, plus security and a friendly staff, you really can't go wrong here. First of all, the location is fantastic. The Meininger London is in the Hyde Park neighborhood and sits across from the world-famous Natural History Museum. Let's be honest, this is probably the first place you would want to take your kids anyway, so why not just live across the street? Nearby are a few other great places such as the Science Museum, Harrods, and the famous Hyde Park. The tube stations are nearby so you can get anywhere else in London in a hurry, too. The breakfast buffet is huge, healthy, and priced just right. This makes for a great way to start the day, and perhaps even meet other travellers. Amenities include modern rooms, modern ensuite bathrooms, lights and plugs for bunk beds, lockers, hairdryers, an on-site restaurant and bar, key-card access, TVs in the rooms, games and other activities in common areas, an outdoor terrace, laundry, and more. The list just goes on and on. This is like staying at a cross between a nice hotel and a dorm, but with a very modern vibe. Guest reviews call out the terrific staff, great location, and friendly atmosphere. Thousands of guests have reviewed this hostel and given it a terrific rating. One guest said, "Meininger in London is a great choice. Not only the location is amazing, but staff are always willing to help. The building is a great space, with great lobby cafe area and an amazing large area for the breakfast or anything you need anytime. Very well insulated, rooms really clean and welcoming." 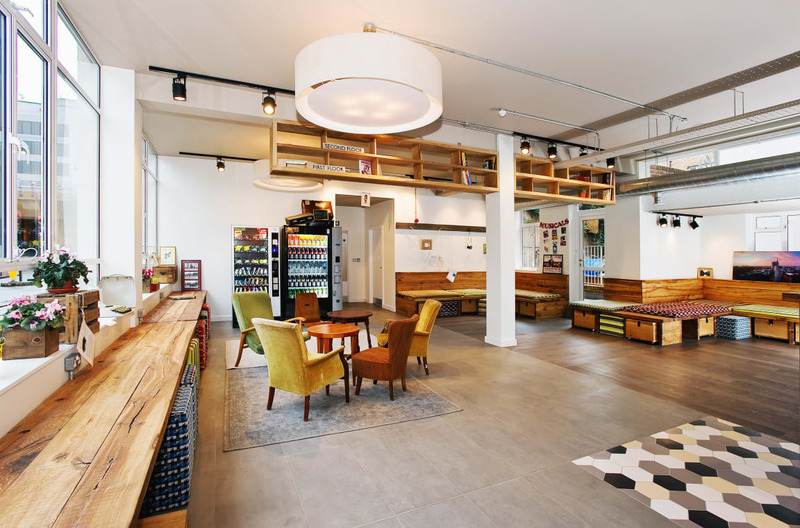 The Rest Up Hostel in London is easily one of London's best hostels due to it's great location, long list of awesome features, comfortable beds, friendly staff, and fun atmosphere. 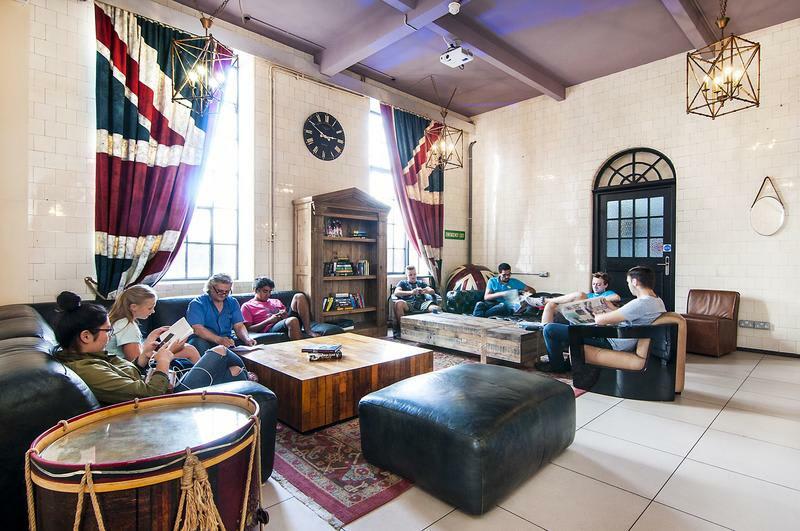 With large dorm rooms, both mixed in with other travelers or for your own private group, this hostel makes for a great base to explore London, see the sights, and have a great time in the evenings. The location is very central, not far from all of the major attractions. It's ideal for school groups, organized trips with lots of people, or other groups of friends looking for an inexpensive place to stay. 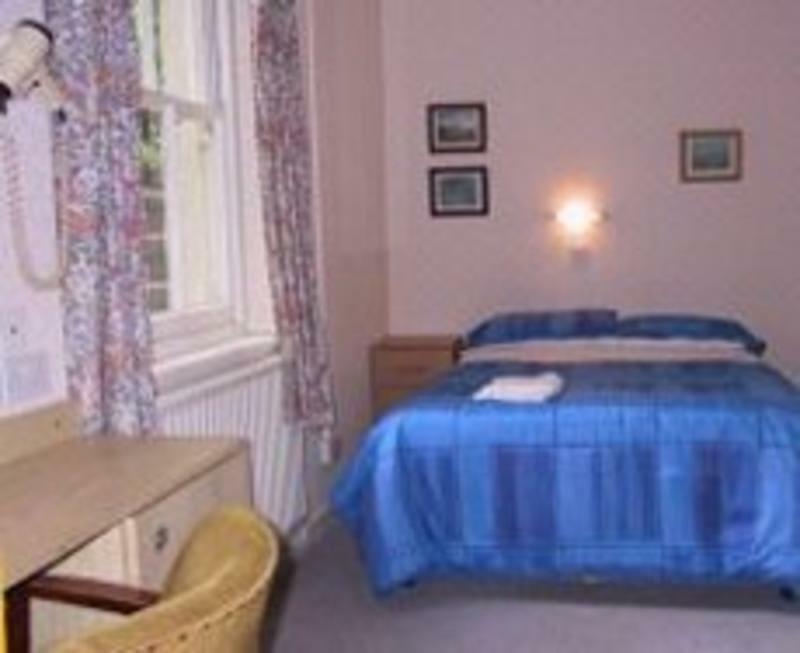 Located in a terrific old building that has been refurbished with modern comforts, this hostel does not disappoint. The spacious common areas make for great spots to hang out as a group or meet other guests. The lobby and lounge have billiards and games, and the on-site restaurant serves food. Breakfast is available and other meals can be booked ahead for larger groups if needed. Finally, there is an outdoor terrace with plenty of space for larger groups to mingle. Typical hostel amenities can be found here such as luggage storage, free wi-fi, laundry, free linens, key-card access, a tours and travel desk, elevators, and more. 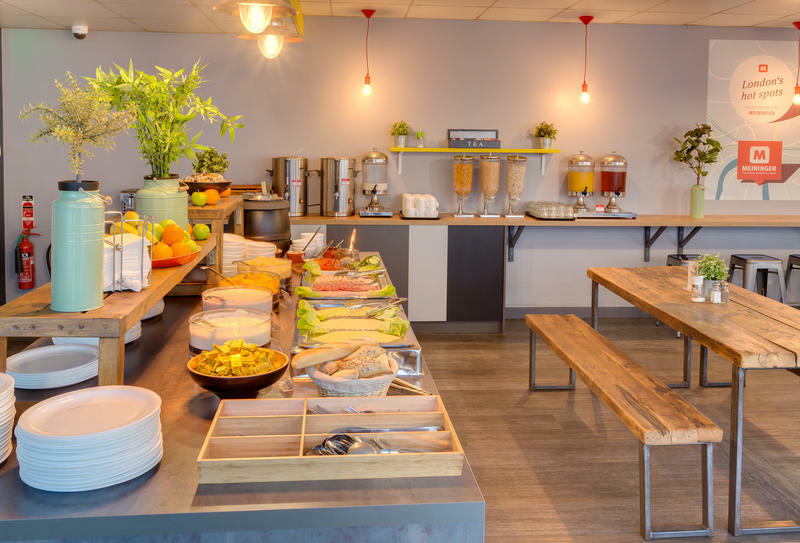 Having earned a great rating from thousands of guests, Rest Up London has been noticed for it's cleanliness, friendly staff, and amazing common spaces. Some guests have said that it can be a little noisy in the shared dorms. One guest stated, "Hostel was in a good location, good price, and family friendly. I went with my mother we had a private twin room. The staff were great and mam enjoyed the continental breakfast. We only stayed one night. The shower was great. So very happy there, plenty of hot water. Room and beds were clean.The only thing not to good was the bed, it was too hard better mattress would make it 10/10." Heads up: If you're looking for a party atmosphere, this is not the place for you. This small, quiet, and friendly hostel has a nice list of features and an absolutely amazing location. Inside these walls you will find a friendly staff, quiet atmosphere, and a nice list of amenities. This is the ideal hostel for anyone who just wants to explore London without all of the chaos of more active hostels. Located very close to the British Museum and Russell Square, you're also only a few minutes' walk from SoHo, Covent Garden, West End, and Chinatown. A kitchen is available to cook your own meals, as is laundry, free linens, wi-fi, breakfast, and a lounge with a TV. Private rooms and dorms are available, and some have ensuite bathrooms. An all-female dorm option is also available. Guests adore this hostel, as it's run by a friendly staff and has a nice vibe. One guest said, "This is my second stay at Pickwick Hall and I will definitely stay here again during my next visit to London. Patrick and the staff really made me feel welcomed. They offered me coffee or tea every morning. If you're looking for a cozy, quiet place that feels like home, Pickwick Hall is the place. I also met a few people there and never felt lonely as a solo traveller. The location is very central and in a lovely neighbourhood. Highly recommended." This quiet all-female hostel feels like a pleasant side-business of the Hurdwick hotel that it's part of. The location is great, as it's right on top of the Mornington Crescent tube station entrance, which is not far from Kings Cross and St. Pancras stations. The list of amenities is short, but this hostel is very new. It is clean, modern, friendly, and well organized. Being part of a hotel, this hostel is quiet and has the feel of a hotel (but with better prices). 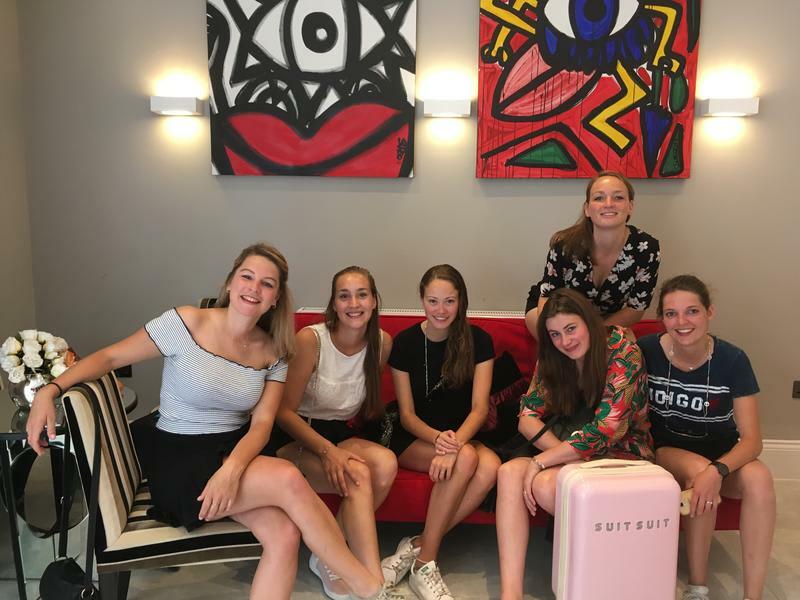 Despite the quiet vibe, the dorms hold 8 women, so it's a nice way to meet other travelers without the noise of a more chaotic hostel environment. Free wi-fi, laundry, key-card access, free linens, towels, hair dryers, ironing boards, and other typical amenities are available. No food is served, and there is no kitchen. So far they don't have a large number of reviews, but one guest said, "I loved my stay here! It's super central (close to a metro entrance and to Camden, 15 minutes walking distance to St. Pancras station) and the room is super nice! I stayed in the 8 bed (all-female) hostel room. It was super cozy, with good central heating and the beds were comfortable. Plus the room had not 1 but 2 bathrooms, which is more than most hostels. This isn't a party hostel but if you're looking for a calm place to sleep, this is your perfect option. I definitely would stay here again!"